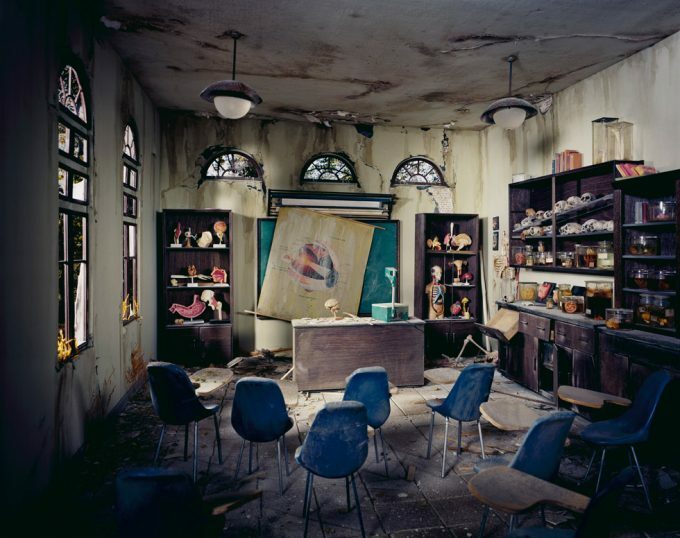 Recent Guggenheim grant winner Lori Nix has work included in a group show about interiors at Flowers Gallery, July 17th – August 30th, 2014. Lori Nix creates her subject matter to photograph dangerous and catastrophic scenes. Through models and dioramas, she imagines a future city affected by climate change. The rooms are devoid of human existence and overrun by flora and fauna, evoking a fearful but visually fascinating scenario. These photographs tell the story of the current occupants or those who have left them long behind – offering historical and anthropological insight into those who once occupied (or were imagined to occupy) that space. The exhibition includes work from a number of artists, including Tina Barney, Julie Blackmon, Edmund Clark, Jacqueline Hassink, Nadav Kander, Jason Larkin, Robert Polidori, Hrvoje Slovenc, Richard Tuschman, and Shen Wei.